2) Complete the Quickstart Quiz below. This is super important to launch your Quest! Once you submit it we will mail your Wilderness Packet. Your personal information will not be shared with others. 4) Learn about our local Eco-Regions and Houston Wilderness' Atlas of Biodiversity to begin learning about the wilderness in and around Houston, especially if your travel schedule will preclude from visiting sites in-person. 5) Mark your calendar for our Celebration at Saint Arnold's Brewing Company September 22nd. 6) Get outdoors, have fun and remember to record your visits in your log! Share your adventures on our Facebook and stay updated on everyone's adventures. If you have children participating in the Quest, what schools do they attend? 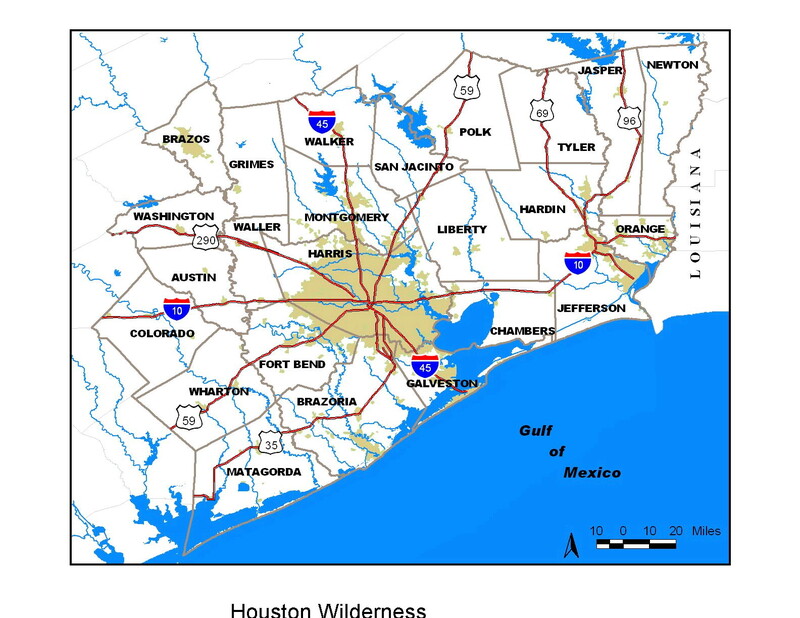 How many of the 10 eco-regions in the 24 county Houston Wilderness region can you name? Try to list them without checking the website!